Speed is tantamount for any website. A delay of even one second for the page to load can move users or visitors to another site. Users, at least 47% of them, expect a page to load within 2 seconds and are disappointed in a delay of seconds. In fact, studies have revealed that a one second delay for a website to load can result in a decrease of 11% pageviews, 7% decrease has been observed in user conversions and 16% reduction in overall customer satisfaction. Thus, a slow website has negative repercussions on the page views and traffic. Slow speed impacts the sales and conversions, and creates a poor perception as well as brand image in the visitor's minds. Following are a few ways to increase the speed of the website. However, before implementing them you must first check the current loading time of the website and have a backup of the site. Removing of unwanted plugins and addons - Unnecessary and unused plugins and addons significantly reduce the speed of a website, especially of WordPress sites. Plugins improve the functionality of the website but only if they are ‘absolutely necessary’. Installing a P3 plugin for WordPress helps identify bottlenecks and how the performance is affected by all the plugins. Removing or limiting social sharing buttons on the website - Having a number of social media buttons does not boost the traffic to the site, but definitely affects the speed of the website. Limiting the number of these buttons or configuring them will help with asynchronous loading of the buttons. Asynchronous loading of ad networks code and analytics - In case of server outage or the analytics service or ad network taking time, the website will be unaffected if the tracking codes are configured to use asynchronous delivery. Enable expires headers - If the server is faced with more requests, then loading of the site will slow down. Enabling expires headers informs users as to when they can request files from the server as against when they can visit their browser's cache to get the file. This helps limit the HTTP requests along with improving the speed. Enable caching - Caching impedes the speed by storing a version of their site on user's browser until they update their site. This significantly reduces loading time. Use Content Delivery Network - A CDN or network of servers across various locations in different countries helps improve speed by storing website files for easy upload by users with servers closer to their location. Getting better web host - An unreliable or cheap local host can drastically affect the speed of the website. Therefore, it is important to choose a reliable host for your website. Website theme - A website theme must not just be about aesthetics since themes with bloated codes can result in slower speeds. 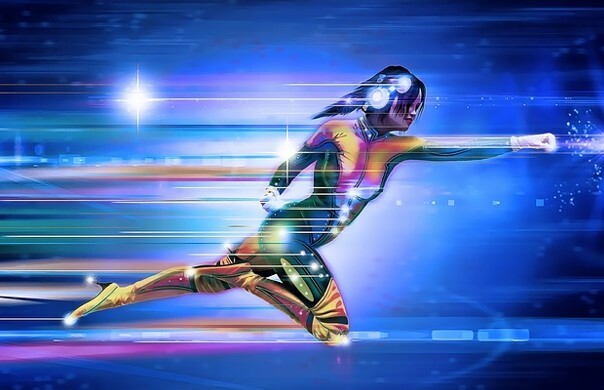 Install Google PageSpeed on your server - Modifications to the server and optimization of the site are automatically done by this open source Google’s server module, thereby improving speed. Optimize and reduce image size - Images can easily be reduced in size and optimized without affecting the quality to boost website speed. Enable Gzip compression - The website size can be reduced by using Gzip to compress the website into zip files, consequently reducing loading time. Regularly optimize database - Regular cleaning of the databases, especially for plugins and CMS that save user data, logs and statistics, can make the website much faster. Combine background images into image sprites - Image sprites combine all the background images of the website into one. This reduces requests and loading time for users by making it a single request to load the images. Enable HTTP keep-alive - This helps maintain a single connection between server and user's browser for file requests instead of repeated connections for individual files. This significantly improves the speed. Avoid image hotlinking - The linking to images on another person's website instead of loading them is termed image hotlinking and this slows down the site. It is recommended to host images, those of content within the site or banner images of ads, before linking them. Limit the number of external requests - By hosting files as many as possible on your website and limiting external requests to only reliable sources the speed can be retained. Use reliable CMS - Since the CMS is the framework for the website, using a reliable one is best for the site. Use PHP accelerator - Although PHP reduces the need to make repeated entries of information to the site, it can increase load time. Therefore, a PHP accelerator is recommended. Prevent others from hotlinking your images - When others hotlink images from your site, it reduces your bandwidth and should therefore be prevented by disabling the option.